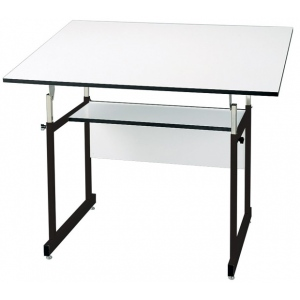 A durable 4-post table that is versatile and sturdy with built-in strength for hard long-term use. 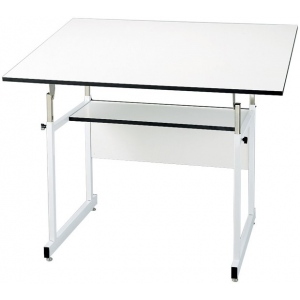 * The angle of the work surface can be adjusted easily from either front or rear. * Sturdy base constructed of 1" x 1" heavy-gauge steel tubing. * Ideal for drafting mechanical drawing and architecture. 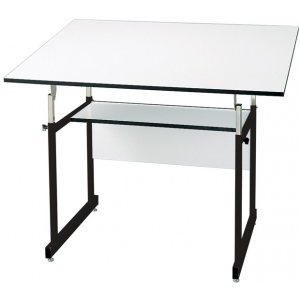 * Can also be used as a spacious reference table. The angle adjustment range is 0 - 35. The height range is 29" - 44".